A culinary journal with essays and delicious recipes seasoned with a dash of history and culture. 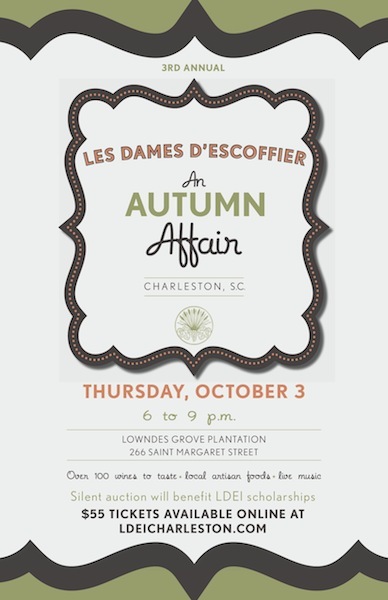 Les Dames d’Escoffier invites you to a highly anticipated event , “AUTUMN AFFAIR,” on OCTOBER 3, featuring an evening of wine tasting, local artisan foods, live music and a silent auction that benefits LDEI scholarships. 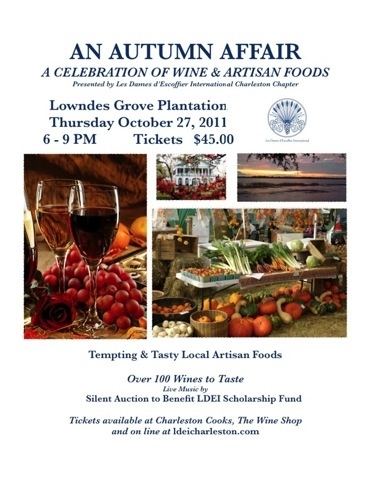 Members of the Charleston Chapter of Les Dames d’Escoffier International will host An Autumn Affair – A Celebration of Wine & Artisan Foods at Lowndes Grove Plantation, October 27, 2011, from 6 to 9 PM. Distributors and wineries will provide over 100 wines for tasting. There will be live music and foods based on local, sustainable harvests, with farmers present to discuss their crops. 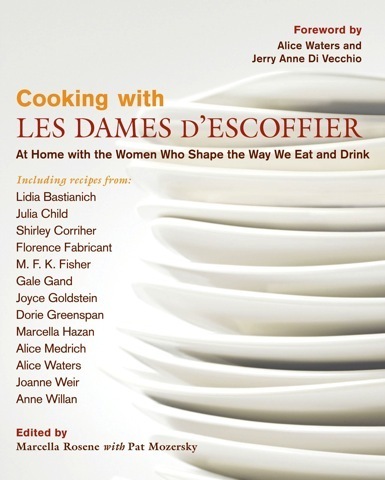 Booths will display products and books will be available from local Dames, including the popular LDEI cookbook. A silent auction from 6 to 8 PM will benefit the Charleston LDEI Scholarship Fund. Tickets for the event are $45.00 and are available in Charleston at The Wine Shop, Charleston Cooks, and www.ldeicharleston.com. Does the idea of a romp through the kitchens, attics and garages of Charleston’s top culinary professionals for a unique shopping spree sound irresistible? If so, then join the Charleston Chapter of Les Dames d’Escoffier International (LDEI) for a CULINARY TAG SALE on Saturday, June 12, 2010 from 9:00 A.M. to 12:00 P.M. 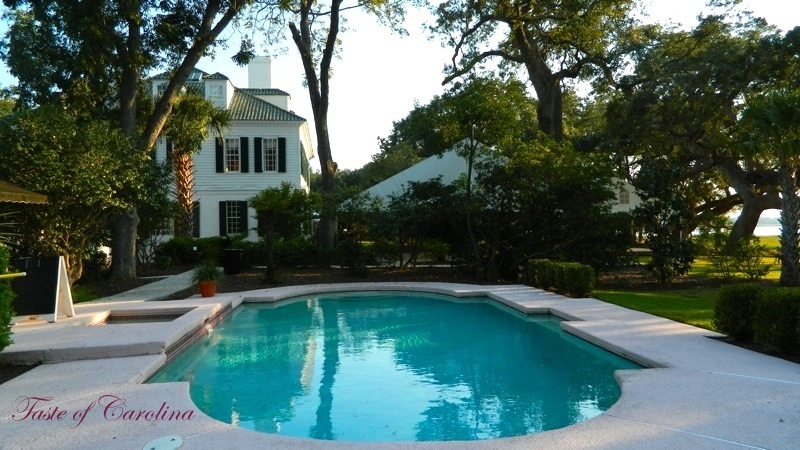 The event will take place at The Real Estate Gallery at 214 King Street, Charleston, S.C.
LDEI is a worldwide philanthropic society of professional women leaders in the fields of food, fine beverage, and hospitality. The invitation-only membership, composed of 27 individual chapters across the United States and Canada, is highly diversified and reflects the multifaceted fields of contemporary gastronomy and hospitality. The Dames will part with many of their personal culinary treasures and will offer their professional services in order to hold the tag sale. Proceeds will be used for the chapter’s culinary scholarship fund for South Carolina women. 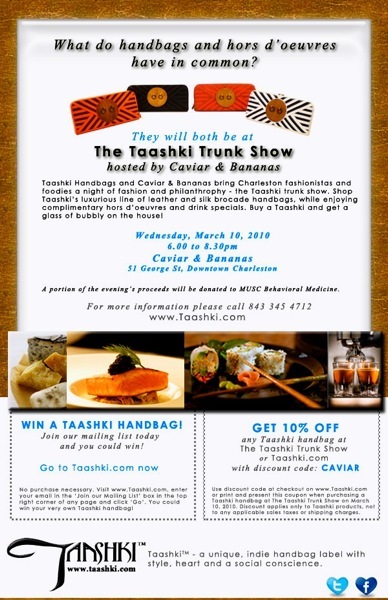 Wednesday March 10th, 6:00 P.M., Charleston’s premier gourmet shop, Caviar & Bananas, invites you to a Trunk Show featuring Taashki leather handbags. Taashki’s Facebook site says, “Taashki is a spirited, outspoken, independent, irreverent and passionate handbag label with a unique take on fashion and philanthropy. ” Click here to read more on Facebook. Caviar & Bananas is an extraordinary gourmet market and cafe. If you are a foodie, there are a lot of surprises here for you to discover. The shop is located at 51 George Street. For additional information, check out their website.